Digital marketing has taken over traditional marketing. This is due mostly to consumers spending more time on the Internet. Companies have always been very active in looking for new customers as well as retaining old ones, and with consumers now facing their smartphones and laptops around eight to 10 hours per day (including work hours), companies are now utilizing digital marketing to increase visibility and eventually sales. You may also see proposal samples. Traditional marketing is still being used by most companies, but no longer as the priority option compared to digital marketing for business. Technology has rapidly evolved over the past few years and has greatly contributed to the shift of traditional marketing to digital marketing. Even the most popular traditional marketing materials such as billboards and posters have been converted to digital marketing tools since they can now be designed and printed using a computer. These days, posters and billboards do not even need to be printed out and posted in a public place since they can be attached to a website or social media page. Digital marketing has taken over, and it will continue to grow as technology also extends its reach in different business functions. 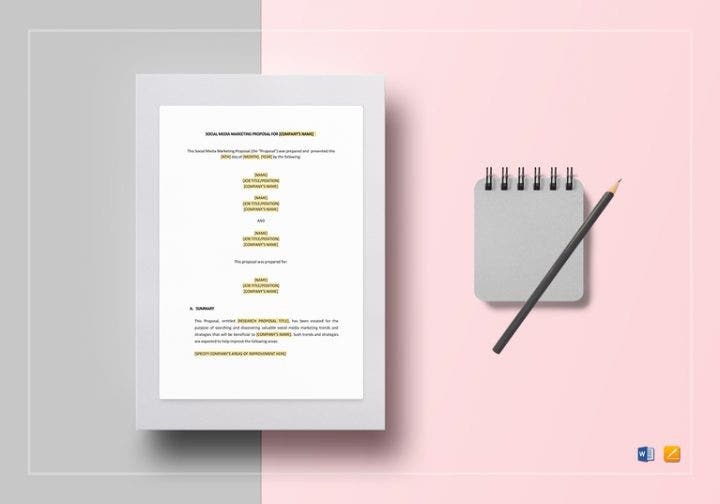 If you are making a digital marketing proposal for your company or planning to make your own and present it to a client, here are some templates you can purchase at very affordable prices. As previously mentioned, digital marketing tools are now more utilized than traditional marketing tools. Companies as well as individuals (freelancers included) are leaning toward heavy digital marketing use and are already investing more in digital marketing. The most basic digital marketing tools such as social media (Facebook and Instagram) do not cost companies a cent, but there are other digital marketing tools such as search engine optimization (SEO) which need to be purchased so that companies can further increase the visibility of their products and services to their target market. Digital marketing also helps in keeping your customers across the globe informed. The reach that digital marketing can have is exponentially greater than traditional marketing. If you post your digital marketing campaign online, it will definitely reach customers instantaneously, and not only in the next city, but even your customers in other parts of the world. Which digital marketing tool should you use? There are numerous digital marketing tools you can choose from and list down in your sample proposal. Listed below are the tools you can use. You can choose one or all of them depending on your company’s use. SEO is one of the most utilized digital marketing tools today. SEO basically allows users to easily search for your company online. When companies purchase and use SEO services, their websites and other online content are optimized to appear at the topmost sections of search engines like Google. SEO allows easy access to users to the websites of their favorite companies, especially if they want to make a purchase or check some new content. Content marketing is basically selling your product or service online but, for your company to be profitable, the content you produce should be of top quality and should beat out the content of other competitors. Content marketing is very important if you want to put your product out there (brand awareness) and make your intentions known to your customers that you are selling high-quality products. Through content marketing plan, you are expanding your market base as you will attract the attention of different markets, increasing the possibility of increased sales and increased profits. Your client portfolio will be diversified, which will benefit your company in the long run as you will no longer be depending on your sales from a single market but rather from numerous markets and client bases. Email marketing is often neglected. This is because they are basically emails and people do not like to read emails unless it is an email from a boss or client. Email marketing can be very effective if done right and if it is sent at the perfect time. Companies can actually customize emails and make them visually appealing to persuade customers to purchase their products. Additionally, email newsletters can contribute in a big way as they inform the customer if there are upcoming or ongoing promotions within the company. Pay-per-click advertising is similar to SEO where an advertiser pays a website owner or network of websites when the ad is clicked. Through this method, the website owner will get paid every time an ad is clicked on his website. For the maximum effect of PPC advertising, the ad should be from a popular website or a company selling a popular product or service. 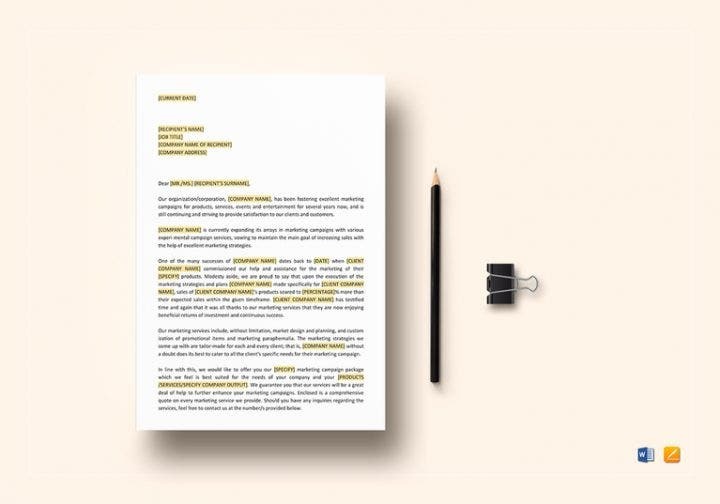 Before you even submit your digital marketing proposals, you should write one properly first. Here are some things you should remember when writing printable marketing proposals. Most proposals include sample executive summary. Executive summaries provide a short background of not only the proposal but also the company. It acts as a summary to prepare the reader for the succeeding contents of the proposal. 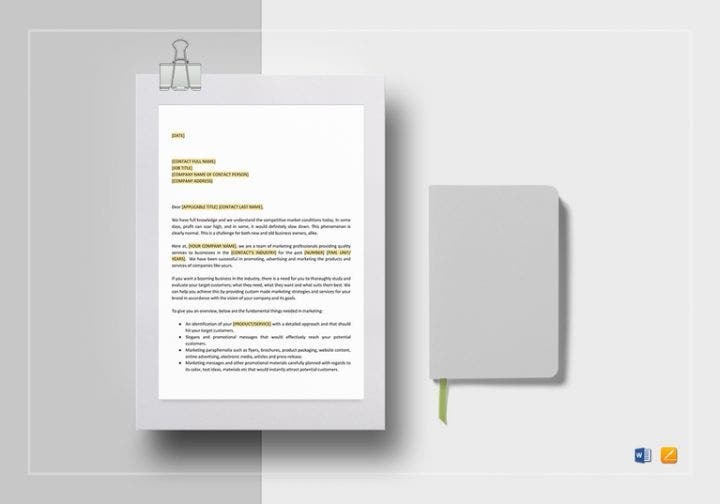 An executive summary contains the most basic yet important company information such as products and services, mission, vision, and other company goals, business strategies, and financial analyses. 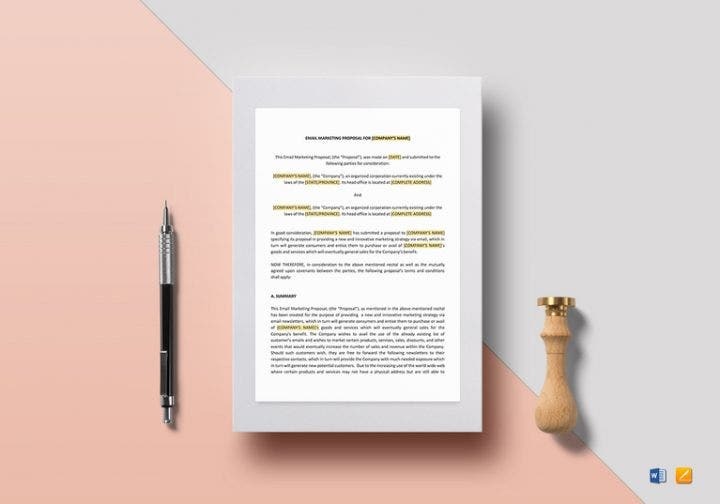 As seen in all business documents, it should be written in a professional manner as they will be presented either to an immediate supervisor or manager, or an external client. Either way, unnecessary abbreviations and bad grammar and sentence structure should be thrown out the window when you are writing your digital marketing proposal. Professionalism should be seen from the very first page (cover page and table of contents) until the last page (references and appendices). 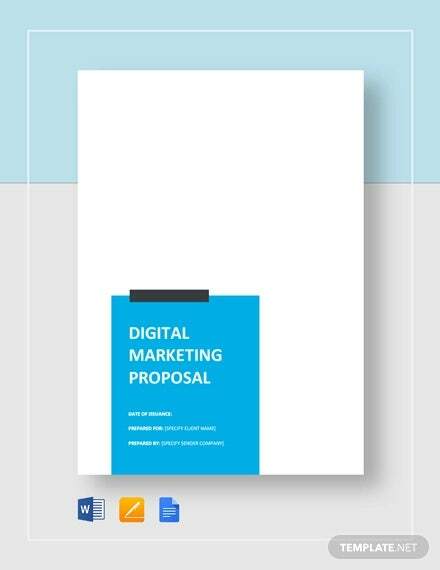 Proposals, especially digital marketing proposals, should not be lengthy. Instead, these should be short and concise—at least three to five pages. The proposal should only consist of the executive summary, marketing strategies and tools to be used, and financial assumptions. Other sections such as human resource and information technology management are not necessary and take away from the essence of the digital marketing proposal. If you wish to add images to your proposal, makes sure these do not take up too much space. If the image is too large, send it to your client instead of via his email or website. Financial assumptions are important and should be included in the digital marketing proposal as well. Although there are free digital marketing tools such as social media, there are always other options you want to consider that come with a price. Even if you have to spend money on them, these marketing tools are very effective and will definitely increase your online visibility. We hope the tips we provided will help you write an effective digital marketing proposal. Check out our other business articles for more guides and templates.